RSS feeds are todays reality and tomorrows usability. I expect that the use of RSS feeds will grow. One of the nicest possibilities, I think, is that RSS feeds are standardized messages. Which in turn enables you to re-use your messages, through RSS, on other pages. This is an example, my blog and this message will also automatically appear on my Hyves. 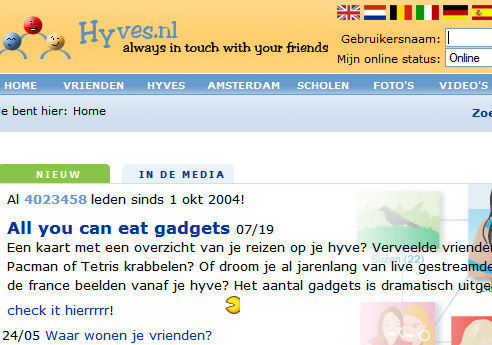 Hyves is a Dutch community webpage. Ofcourse you can also import other people’s blog, but why would you do that? It can be nice if you like to build an automatic blog generating page.